This product is only intended for healthy adults, 18 years of age or older. Do not use if pregnant or nursing. Consult with a licensed, qualified healthcare professional before taking this or any dietary supplement product, especially if you are taking medication or have a medical condition. Discontinue 2 weeks prior to surgery. Use only as directed. Do not use if safety seal is broken or missing. Store in a cool, dry place. KEEP OUT OF REACH OF CHILDREN. This product is sold by weight, not volume. Some settling of powder may occur during shipping and handling, which may affect density of powder. This product contains the servings indicated when measured exactly by weight. Citric Acid, Natural & Artificial Flavors, Acesulfame Potassium, Sucralose, FD&C Blue Lake #1. Malic Acid, Citric Acid, Natural & Artificial Flavors, Sucralose, Acesulfame Potassium, FD&C Blue #1. Citric Acid, Natural & Artificial Flavors, Malic Acid, Sucralose, Acesulfame Potassium, Silicon Dioxide, FD&C Red Lake #40, FD&C Blue Lake #1. Citric Acid, Natural & Artificial Flavors, Silicon Dioxide, Sucralose, Acesulfame Potassium, FD&C Blue #1, FD&C Red #40. Citric Acid, Malic Acid, Natural Flavors, Sucralose, Acesulfame FD&C Yellow #5, Acesulfame Potassium (Ace-K), FD&C Red Lake #40. Citric Acid, Natural Flavors, Sucralose, Soy Lecithin (As An Emulsifier), Acesulfame Potassium (Ace-K), FD&C Red Lake #40. Citric Acid, Natural & Artificial Flavors, Malic Acid, Sucralose, Acesulfame Potassium, FD&C Yellow #5. Natural Bitterness Blocker (Natural Flavor). Artificial Flavors, Citric Acid, Sucralose, Malic Acid, Acesulfame Potassium, FD&C Red Lake #40. Citric Acid, Malic Acid, Natural Flavors, Sucralose, Acesulfame FD&C Yellow #5, Acesulfame Potassium (Ace-K), FD&C Red Lake #40. Contains Soy. Citric Acid, Natural Flavors, Sucralose, Soy Lecithin (As An Emulsifier), Acesulfame Potassium (Ace-K), FD&C Yellow %5, FD&C Red Lake #40. Freedom Ice This is a Buy 1 Get 1 FREE offer! Grape Escape This is a Buy 1 Get 1 FREE offer! Italian Blood Orange This is a Buy 1 Get 1 FREE offer! Mango Madness This is a Buy 1 Get 1 FREE offer! Margarita This is a Buy 1 Get 1 FREE offer! Strawberry Kiwi Splash This is a Buy 1 Get 1 FREE offer! Tangerine This is a Buy 1 Get 1 FREE offer! 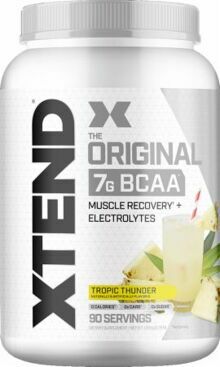 Tropic Thunder This is a Buy 1 Get 1 FREE offer! Watermelon Explosion This is a Buy 1 Get 1 FREE offer!